FaithWeaver NOW Parent Leader Guides empowers and equips parents to have confident faith conversations with their kids. FaithWeaver NOW Parent is a small group resource custom for veteran parents, grandparents and newbies! 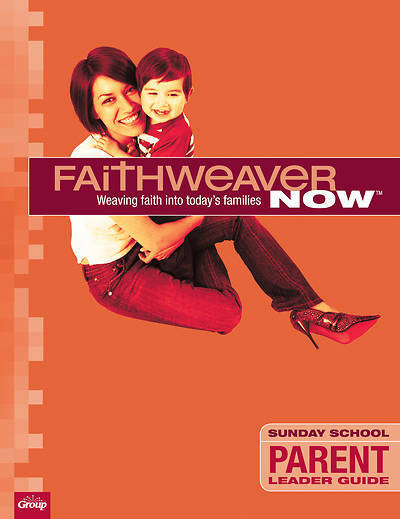 FaithWeaver NOW Parent empowers and equips parents to have confident faith conversations with their kids: Busy parents don’t have to put something new on their calendars—FaithWeaver NOW Parent occurs during regular adult Sunday school (no extra trips to church!). Parents are equipped with the Bible background, why the lesson matters, what it means, and how it relates to everyday life—correlating with the same lesson their children are learning. Powerful things happen when parents share ideas, mentor and fellowship with one another. You’ll also have access to a FREE digital copy of this Teacher Guide in Word and PDF format. You can customize the Word documents so that any lesson fits the needs of your ministry. Sharing lessons with busy volunteers couldn’t be easier!